Let Boundless Moving & Storage take the stress out of your next move with our professional team of moving experts! 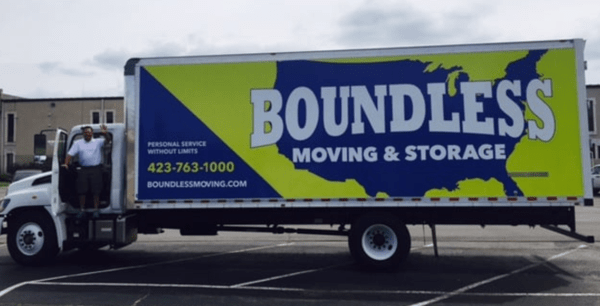 Boundless Moving & Storage is here to help you with your local move in the Cleveland, TN area. If you are looking for a mover you can trust to pack and move everything you own with precision, care, Boundless Moving & Storage is the answer! ABOUT BOUNDLESS MOVING & STORAGE: - Full-time, Trained, Professional Moving Crews - Fully Licensed, Insured and Bonded Movers - Uniformed Moving Crew with all Needed Equipment - Respectful and Courteous Staff - Trucks are New and Fully Serviced - Clean Trucks dedicated only to reputable moving practices Contact us today and find out why our local moving services in the Cleveland, TN sets us apart from other movers.